4/11/19 - More Marbles added! 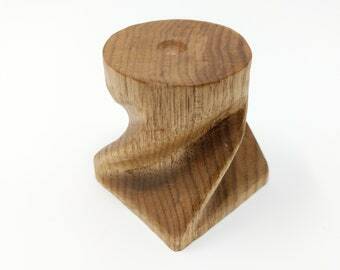 4/10/19 - New 'Old Fashioned' Hider Marbles now available! 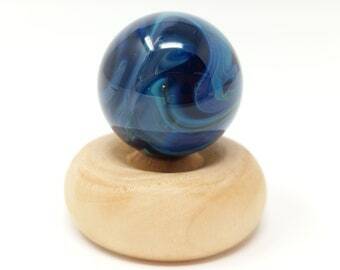 4/5/19 - New Hider Marbles by Sean coming soon. "The first step towards getting somewhere is to decide that you are not going to stay where you are." - Chauncey Depew. 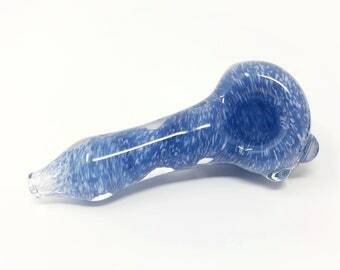 3/9/19 - New pipes and marbles from Sean! 3/6/19 - Pipes, Jars, Marbles and Stands Added! 3/1/19 - Adding more items and giving our looks a little bit of an overhaul. Notice anything different? Let us know what you like about our shop, send us a message! 2/26/19 - Woohoo more stuff being added to the shop today! More Stands by Sharon and marbles by Sean! 2/25/19 - New Team Member! We would like to welcome our newest team member, Sharon Netzley! 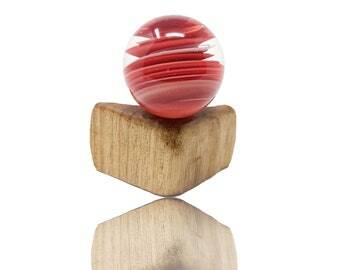 Sharon has made some absolutely incredible hand carved wooden marble stands! We will be listing Sharon's new work today and throughout the week. Make sure to favorite our shop to stay up to date! 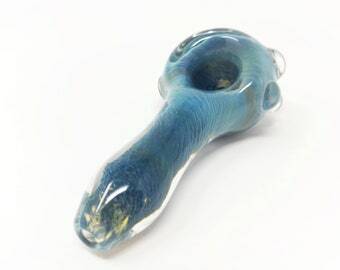 2/14/19 - Fresh new glass from Sean just added! 2/7/19 - More Marbles just added! 1/30/19 - More marbles on the way! 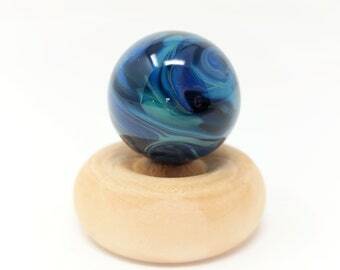 1/28/19 - New Marbles from Sean being added today! 1/22/19 - New marbles added and more on the way! 1/1/19 - Wow! 2018 was an absolutely transforming year. I can't thank you all enough for all your support in 2018 and we look forward to bringing you more incredible work in 2019! Ending the year on a good note and starting off on another good note, I'd like to thank Sharon Netzley for allowing me to be part of her magical creation. Sharon reached out to me asking for a specific sized marble for a project she was working on. 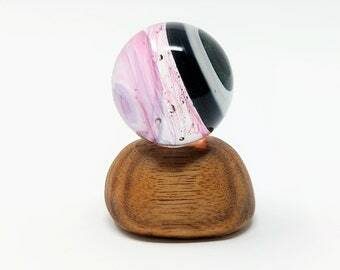 Happy to oblige, I made a few fumed galaxy marbles and I was stunned when she sent over pictures of her hand carved wooden wizard with our marble as the top of the staff! 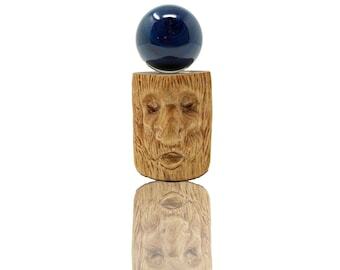 The wizard stands appx 7" tall with a .75" fumed marble. You can check out Sharon's amazing zest for all things art on her facebook page: Sharon Netzley, Artist, Musician, Writer. For 2019, let's expand the scope and scale of our lives in ways that we have not imagined possible. 12/17/18 - ❄❄❄Last Chance Holiday Sale❄❄❄ 20% Off & Fast Free Shipping! 12/7/18 - Fresh out of the kiln! Our first hollow ornaments and more! 12/6/18 - Sean's first snowman ornament now available! 12/4/18 - Wow! Its December already?! I can't thank you all enough for all your support! We do have more items coming very soon, so stay tuned! 11/24/18 - 25% OFF! CYBER-SALE SMALL BUSINESS SATURDAY! 11/22/2018 - Happy Thanksgiving everyone! 11/9/18 - Thank you for all your support! We just made some major upgrades to our glass shop and have some new glass coming soon! 10/24/18 - Our Halloween Sale is all the way live! 20% Off all glass! Shop Now! 10/11/18 - New Glass Dropping Today! New Pipes by Jim, Marbles By Sean! 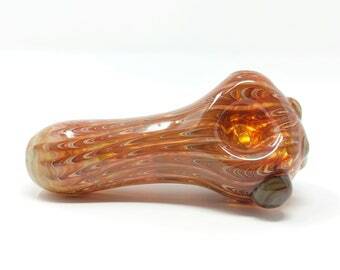 Grab a new piece today! 10/10/18 - Seriously. We have the BEST CUSTOMERS! YOU GUYS ARE SO AWESOME! THANK YOU!!! 10/4/18 - New Halloween Hider Marbles For Sale! 10/2/18 - New Glass Candy Corn Pendants Added! 9/25/18 - New Shooting Star/Comet Marbles Added! 9/21/18 - International Peace Day Sale! 10% Off All Weekend Long! 9/20/18 - New Marbles and Pipes Added! 9/15/18 - NEW Glass Ghost Charms by Sean Now Available! 9/13/18 - New Marbles Added! 9/11/18 - More pipes added! 9/10/18 - Incredible new pipes from Jim available! 8/22/18 - Early Bird Labor Day Sale is now all the way live! 15% off all Products and fast, free shipping! 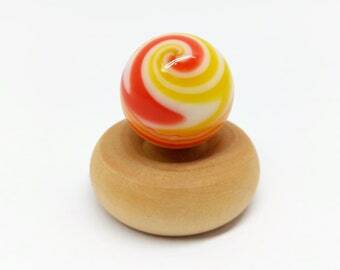 8/14/18 - New Blooming in Waves of Bliss Marbles Now Available! 8/7/18 - Feelin' Good Flash Sale Today Only! 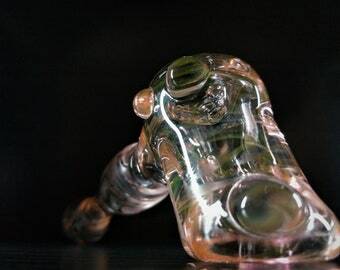 10% Off All Glass & Fast Free Shipping! "Every moment there are a million miracles happening around you: a flower blossoming, a bird tweeting, a bee humming, a raindrop falling, a snowflake wafting along the clear evening air. There is magic everywhere. If you learn how to live it, life is nothing short of a daily miracle." This summer is flying by! I hope all of you have been able to enjoy it with friends & family, but especially just by yourselves! This month, let us try to put our own logic aside and see things with better clarity. See things just as they are in the moment. 7/23/18 - New Jars & Pipes available! 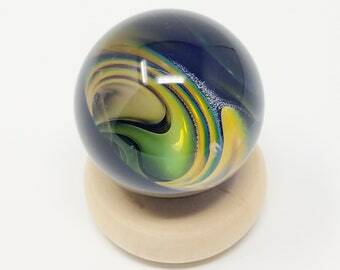 7/22/18 - Thank you everyone who made our National Marble Day Sale a hit! 7/13/18 - Friday the 13th Flash Sale! Now thru midnight EST! 7/11/18 - New Etsy Store Look & Feel! 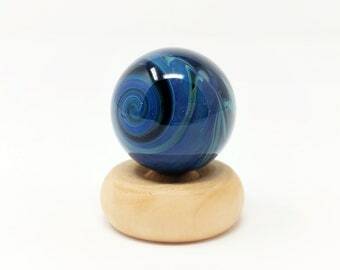 7/10/18 - Multiple new marbles for sale! 7/2/18 - New Marbles Added! 6/28/18 - Fourth of July Sale is now live! Get 20% off and Fast Free Shipping on your next order! Shop now! 6/19/18 - Etsy’s 13th Birthday Sales Event is live 10% Off & Fast Free Shipping on all orders! Today Only! 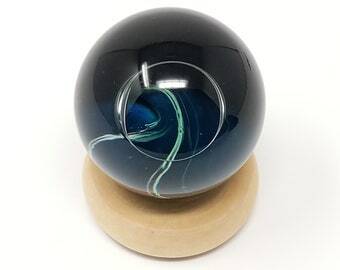 6/19/18 - Our Largest Marble (1.832") Just listed! More Marbles being added! 6/17/18 - Father's Day Flash Sale! 20% off all glass tonight only! 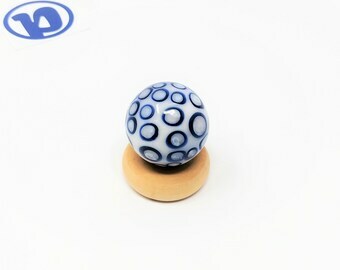 6/11/18 - New Red White & Blue Marbles Added! 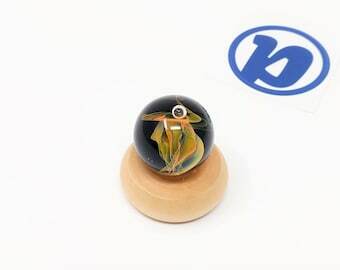 6/5/18 - New Marbles & Pendants Available! 5/24/18- ***NEW JARS, MARBLES AND PIPES ADDED TO OUR MEMORIAL DAY WEEKEND SALE ***20% OFF ALL GLASS NOW THROUGH MONDAY*** Plus Free Shipping! 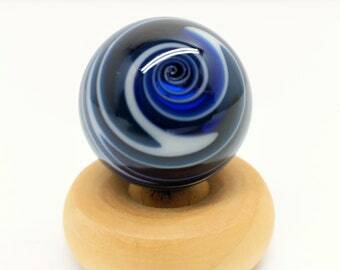 5/23/18- MEMORIAL DAY WEEKEND SALE ***20% OFF ALL GLASS NOW THROUGH MONDAY*** Plus Free Shipping! 5/8/18 - New pipes & Marbles added! 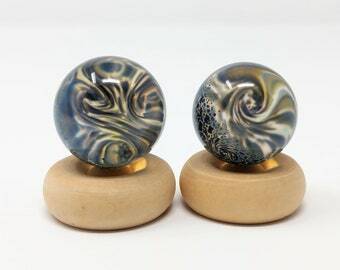 5/3/18 - More Starry Night Marble 2 Packs just added! Perfect for hiding! 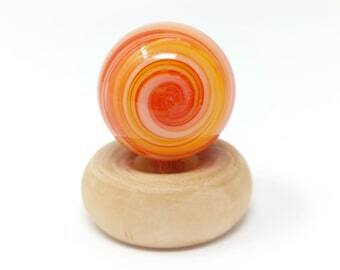 4/27/18 - Attention all marble hiders! 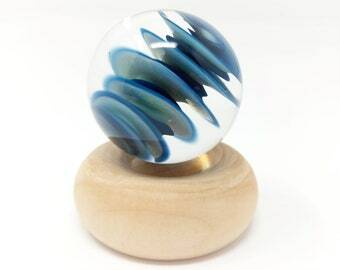 New Pathways production line 'Starry Night' Hider Marble Packs now available! Grab a set today! 4/25/18 - I think we may have the most awesome customers in the world! You all are amazing! Thank you all for your support! 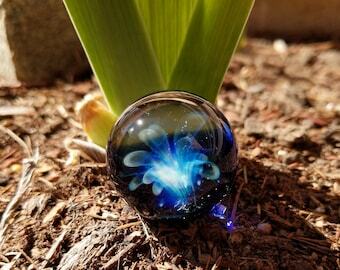 More glass marbles coming soon! 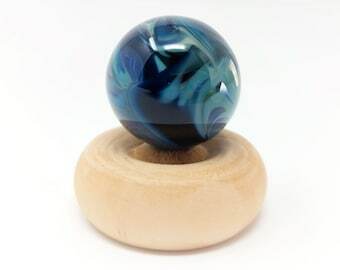 4/13/18 - New Larger Marbles Available. 1.5+" in diameter! 4/6/18 - I wanted to share a wonderful message we received from one of our happy customers with you; "You sir are very awesome! I thank you ever so mush for refunding my shipping. I must also say, having received my box today, I am SO thrilled with the quality and overall beauty of the pieces. 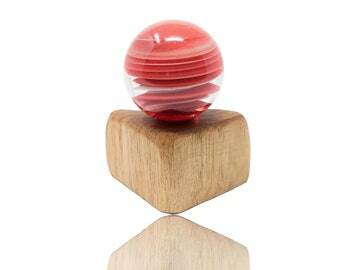 You have such a wonderful selection of gorgeous items on your shop site. I’ll be sure to keep a close eye on it for more good things to come! Keep up the great work, not just with the high end glass, but with the professionalism shown in packaging. Thank you so kindly! - PF"
4/4/18 - New Team Member! We would like to welcome our new Glass Artist, Jim! We are thrilled to have Jim on our team! Jim creates our super thick and larger glass pieces. 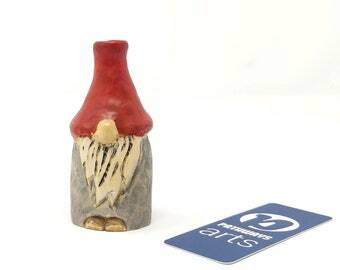 We will be listing all sorts of new goodies from Jim today and tomorrow! Make sure to favorite our shop for updates! Keep smilin' everyone! 3/29/18 - All sorts of new glass available! New jars, marbles, and pendants! FREE SHIPPING ON ALL ORDERS! 3/16/18 - Wow! We cannot thank you all enough for your support! Thank you for keeping the dream alive! 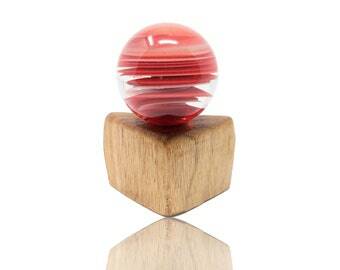 Easter is around the corner so we got a little creative, check out our Galaxy Egg in the Marbles section! 3/2/18 - New Marbles added! Free Shipping! 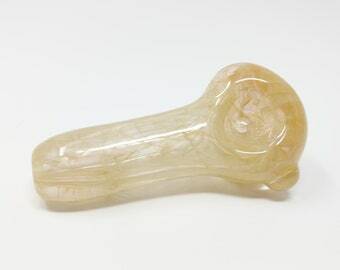 2/24/18 - New marbles and glass pipes just added! Valentine's Day is less than 2 weeks away! Check out our new glass hearts! Always handmade with love! Hello there, thanks for stopping by! 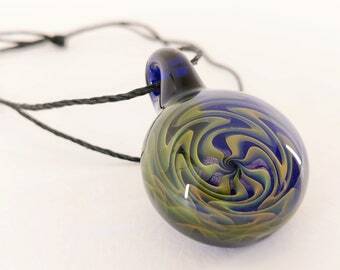 All products are flameworked using high quality and durable borosilicate glass. Each item is uniquely one of a kind and no two items in this shop are identical. For flash sales, giveaways, coupon codes, and more, follow us on Facebook & Instagram @PathwaysArtsLLC. 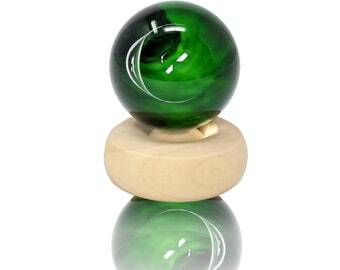 Get lost in forever in our gold and silver fumed vortex marbles! 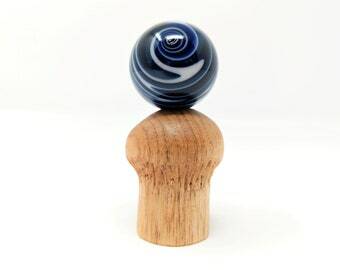 New Fumed Hammer by Sean! 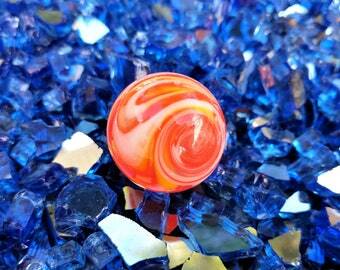 Ever since I started working with glass, my life has never been the same...it's been an amazing journey! Strange how life can lead you on different paths…ones you would have never expected or dreamt of. During the summer of 2015, I had this strong urge to create something with my hands. I have never in my life prior to that moment wanted to ‘create’ anything nor did I have any artistic background, interest, or skills. But that summer, I felt those idle hands starting to itch and I couldn’t ignore the longing to make something so I decided to take a glass lampworking class being offered in western New Hampshire. It was an amazing experience. From that point on I had caught the glass bug. Try and fail, discouragement, analysis, nerves, anxieties. Those were just some of the feelings to be dealt with when starting something new. Day in and day out I found glass taking up every crevice in my mind, even keeping me up at night. In the Fall of 2016, I made some decisions to try and change the directions of the winds in my life which eventually led me to close my computer business of 10 years and pursue my dreams of being a glass artist. This pursuit led to opening Pathways Arts and my life has never been the same since! 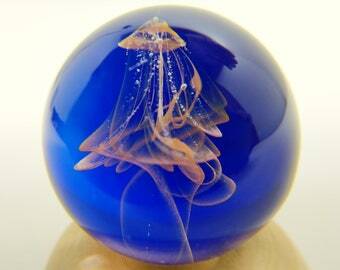 Everyday I strive to bring out the beauty that I see in our wonderful world through my glass art. I'm the owner, artist, and do everything from glass art, photography, marketing, to packing/shipping and customer service. Tina is my beautiful and amazing wife! She works full time but finds time to help me with my creative business. Felix is my cat. His job is to make me laugh and smile. And sometimes shows me how to chill out and relax for awhile. Jim joined our team 4/1/18 and he is the reason Pathway's owner, Sean, started working in glass. Jim has years of experience behind large Bethlehem torches and makes our larger, extremely thick pieces. Happy to have him on our team! Sharon Netzley is our local wood magician. Sharon joined the Pathways team 2/25/19. 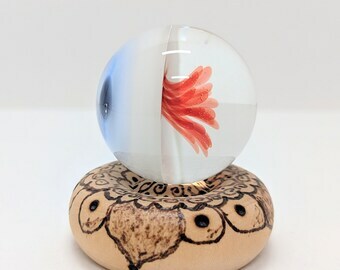 After sharing with us how she had planned on incorporating our glass marbles with her hand carved wooden creations, we just had to have her on the team!